If you want to get more clicks from search results, you need to optimize how your site looks in those search results. A single result in a set of search results is called a snippet. 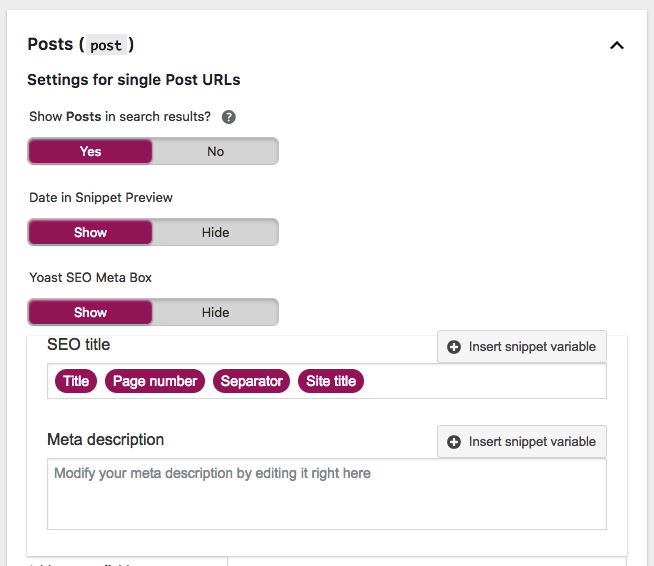 The Yoast SEO plugin has a snippet preview, which shows a simulation of what your post will look like in those results, and this post explains how to use that snippet preview to get more clicks! It also describes why the snippet might not always match what you see in the search results. 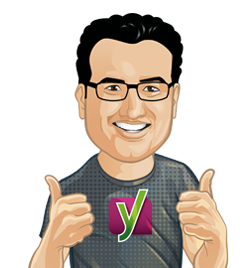 Our Yoast SEO plugin allows you to preview two versions of your snippet, the desktop snippet and the mobile snippet. A button below lets you switch between the two and make sure they both look good. Note that the screenshots in this post are made using the latest version of Yoast SEO, with the mobile version as default. So if you’re thinking “this is different from what I’m seeing,” you need to update! What determines how a snippet looks in search results? The above snippet preview lacks a few things. For instance, it doesn’t include a keyword in bold type. If you search for a specific word, Google will make that keyword bold in the text and URL of the snippets it displays. But it actually goes one step further. Once it has decided which pages will rank for your search, it tries to find part of the page that includes that exact term. If your meta description (if you have one) doesn’t contain the keyword searched for, it’ll grab a “random” snippet from the page that does. As you can see, the plugin “adapts” by making the focus keyword in the URL and description bold, just like Google would. Incidentally, Google has now stopped displaying keywords in page titles in bold. The title is the first thing people see in the search results for your posts and pages, and in many, many cases it’s the only thing – so it had better be good! Funnily enough, if it thinks you’re not doing a good enough job of your title, Google actually changes it for you. There are many reasons why this happens, most of which are explained in this post. As you can see the plugin takes the post title and adds the separator (in our case a middle dot) plus the site name. The page number parameter is only used when you have a paginated post. You could also have the category in there if you wanted, but that reduces the space to properly play with the title. Removing the site’s name is not a good idea. Google will usually rewrite your titles if they don’t contain branding – again, see the post on page titles for more information. Now, our current title would definitely match for [snippet preview yoast], and we’d like it to match for [snippet preview wordpress] too. Also, running the words snippet preview through our Yoast Suggest actually suggests there are some how-to type queries for the keyword as well, so I’ve optimized this post for all those keywords with Yoast SEO Premium’s multiple focus keyword feature. Now that our title is up to snuff, let’s work on the second biggest “item” in the snippet: the meta description. Often referred to as the “snippet” tool, though that might be slightly confusing in this context. We want to control what Google displays in its results snippets for our pages as often as possible, meaning that we should have a snippet that matches many of the keywords that’ll match this post. Before we move on to another screenshot, let’s go to the next section of the preview. The slug is the part of the URL that identifies your article. So in our example above it was “the-snippet-preview-means” etc. Slugs in WordPress are normally the article title, in lowercase, with spaces replaced by hyphens. Yoast SEO has an option to remove stop words from your slug, which has already cleaned up our slug considerably, but since we’ve opted to change the title of our post, we’ve edited the slug as well, simply to “snippet-preview”. This is a post, and posts carry date info in Google search. Some SEOs, including us, have tried hiding this in the past. To be honest, that’s a sacrifice to usability we’re not prepared to make anymore, so there won’t be a date in the snippet preview for pages and other post types, as usually these don’t display dates. I hope this post has made it clear how you can use the snippet preview to increase click-throughs from the search results. This functionality is available in our Yoast SEO plugin and of course in Yoast SEO Premium as well. 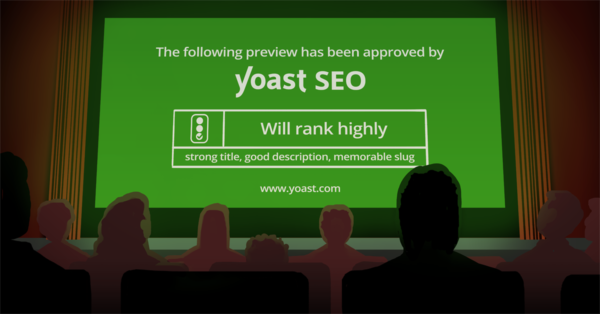 If you’re unsure about whether you’re getting the best out of Yoast SEO, our Yoast SEO for WordPress training might be something for you! Be sure to check it out.